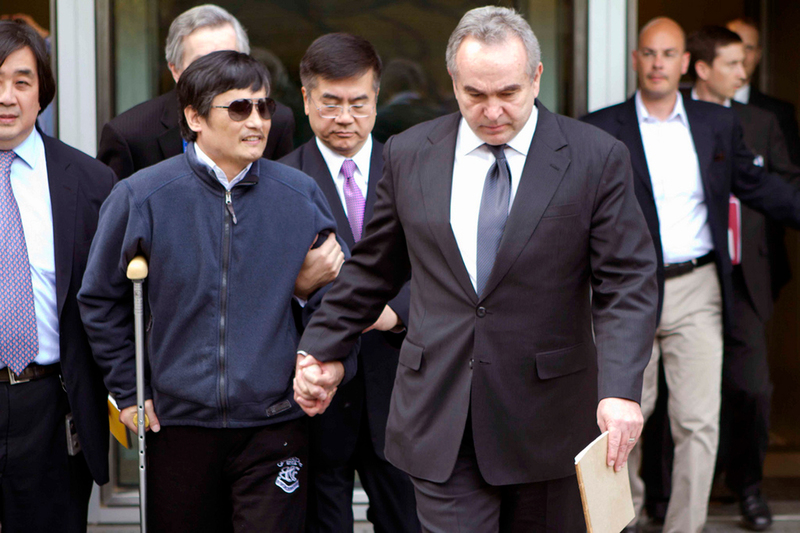 Chinese dissident Chen Guangcheng (left) holds hands with then Assistant Secretary of State for East Asian and Pacific Affairs Kurt M. Campbell, with U.S. Ambassador to China Gary Locke behind them, in Beijing, May 2, 2012. In this episode of the Sinica Podcast, taped live at the US-China Strong Foundation’s China Careers Summit in Washington, D.C., on May 31, Kaiser talks to former Assistant Secretary of State for East Asia and Pacific Affairs Kurt Campbell about his career, his critique of engagement, and the fascinating events that happened on his watch—including the extrication of blind activist lawyer Chen Guangcheng and the attempted defection of Bo Xilai’s former police chief in Chongqing, Wang Lijun.